To maintain integrity and accuracy, time editing is disabled on timesheets that have already been approved. To edit an approved time segment, you must first unapprove the time segment. 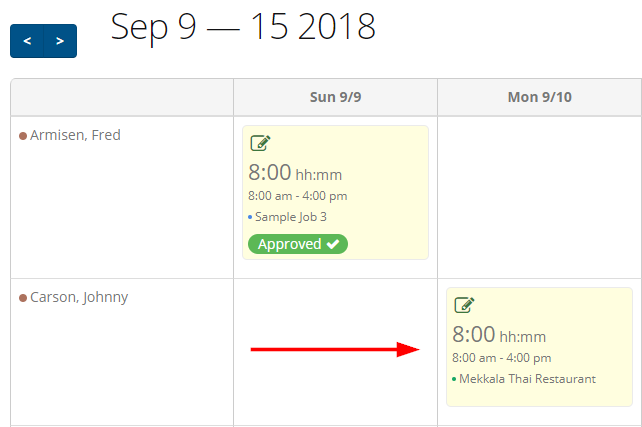 You can do this by going to Time Sheets > Approve Time Sheets and clicking the cancel icon. Returning to the View Time Sheets screen, you can then click to edit any time segment without the "Approved" icon. After editing, return to the Approve Time Sheets screen and reapprove the employee's time sheets by clicking the blue check icon. 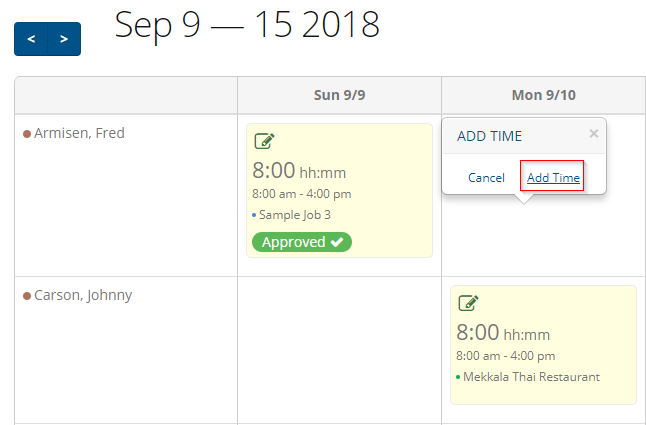 Note: In the blank days on employees' weekly time cards, ClockShark allows you to click to add new time segments, even if the timesheet is approved. However, if you attempt to add a new shift to an approved timesheet, you will be alerted that the timesheet cannot be edited since the pay period is locked. To add a new shift to an approved timesheet, follow the same steps listed earlier in this article.